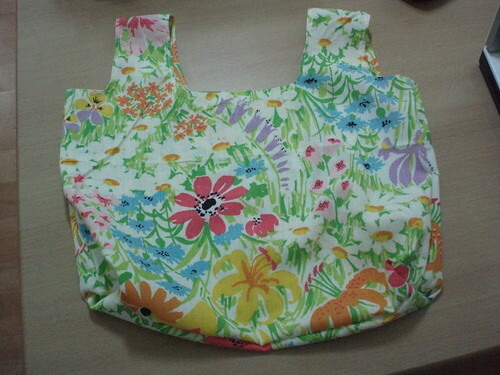 I made a baby grocery bag for my friend’s daughter. The same little girl that I made the baby apron for. She can put all sorts of fake food and other goodies in it and haul it around the house. I used two cloth napkins from my thrifted stash. They are the perfect size for this bag. I cut open a small plastic grocery bag and traced it on the napkins. 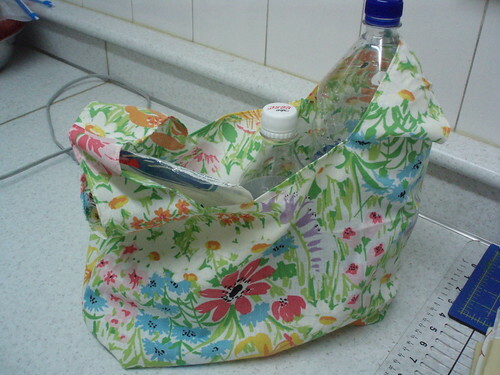 It was super easy and I even made some pleated bottom corners like a real grocery bag. I hope she likes the gifts. This grocery bag is so cute! I think it would be fun to have a full sized one to shop with!